Step into the glamor of the 1920's and this restored estate. The Main Dining Room is classic elegance at its best. 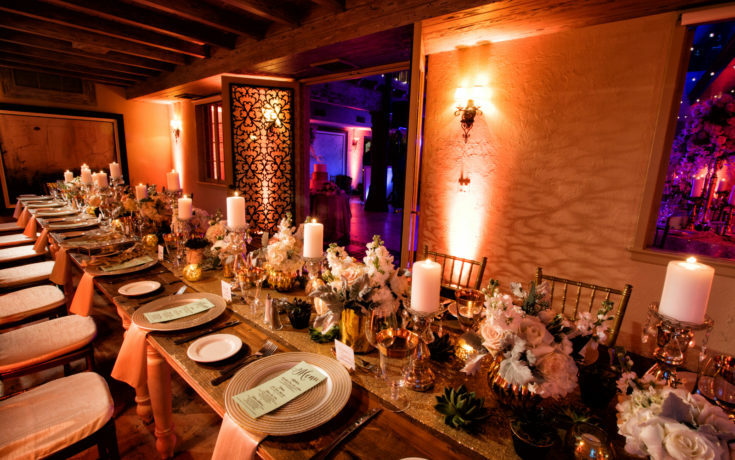 This highly versatile space is the perfect canvas for any type of event. It boasts many unique features, including comprehensive AV technology. 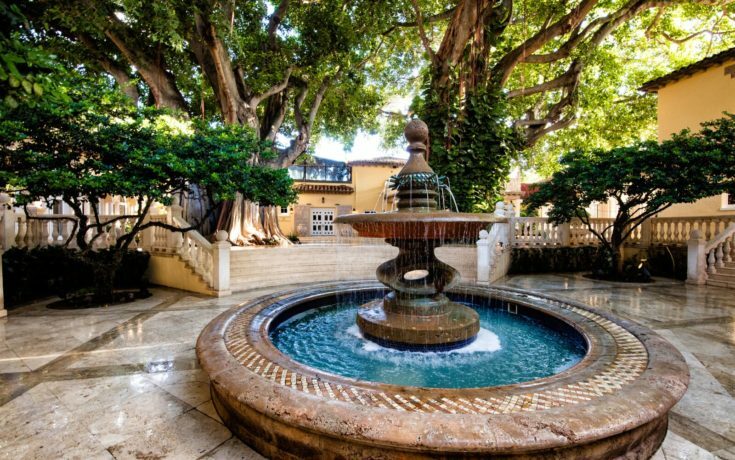 Enveloped by 100-year-old banyan trees and featuring a cascading fountain, our cool Courtyard will transport you to an enchanted place. 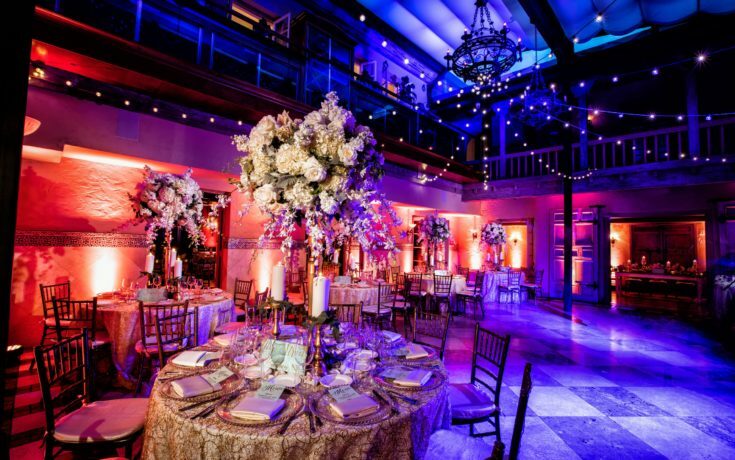 Overlooking the courtyard with panoramic floor-to-ceiling glass walls, this magnificent ballroom is perfect for social gatherings and celebrations. 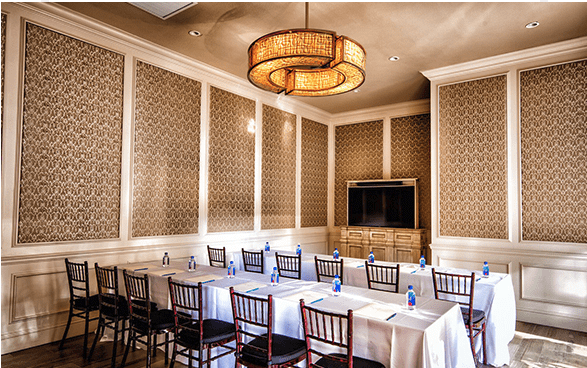 The El Greco & El Camino rooms make an ideal space for intimate business dinners, corporate trainings, rehearsal dinners, showers, and tea parties. 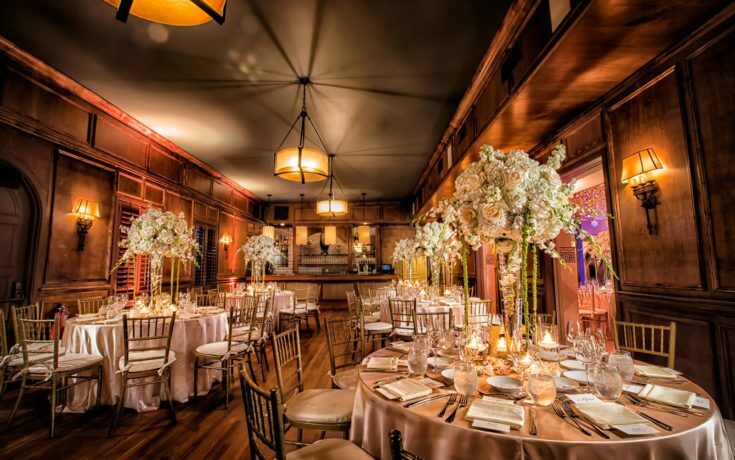 As part of the Main Dining Room, or used on its own, the ambiance and sophistication of the Club Room makes for a unique and picturesque setting. 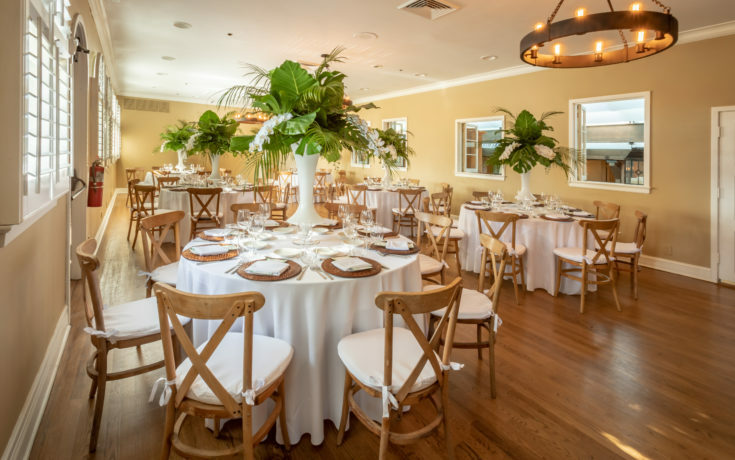 Overlooking the property, the Adios Room & Terrace are picturesque for intimate dinners and perfect as a bride's pre-wedding sanctuary. An ideal location for architecture enthusiasts, the Fountain Room is also a beautiful and intimate space for dining and / or lounging. 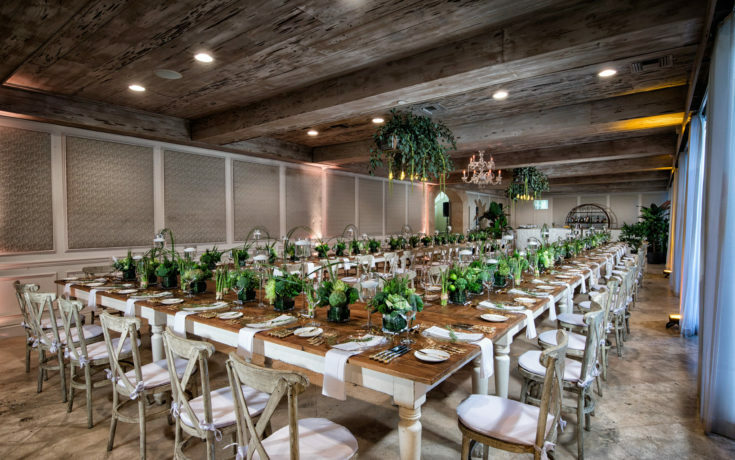 Originally Addison Mizner's administrative office space, the Banyan Ballroom is now a charming space for ceremonies and corporate events. 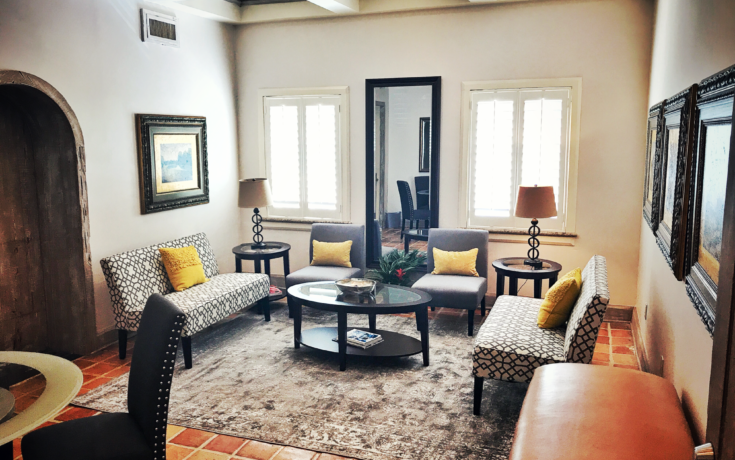 This private area was originally the personal office space for Mizner himself. Today it makes the perfect space to relax and get ready. 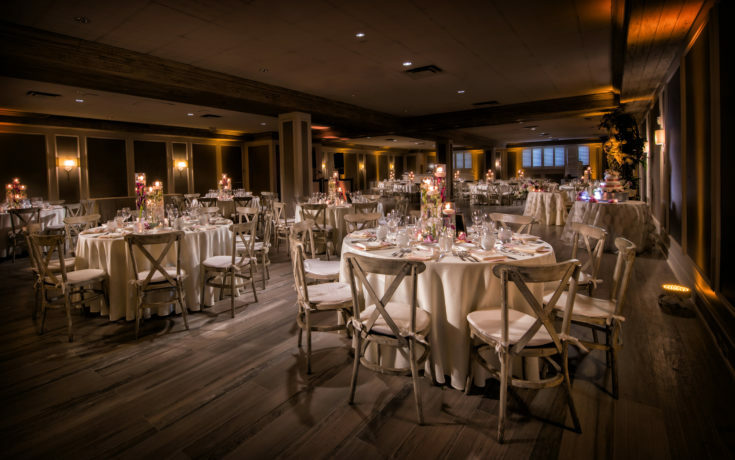 From the moment we stepped foot on property at The Addison, we knew it was going to be the venue for our wedding. It is absolutely GORGEOUS! 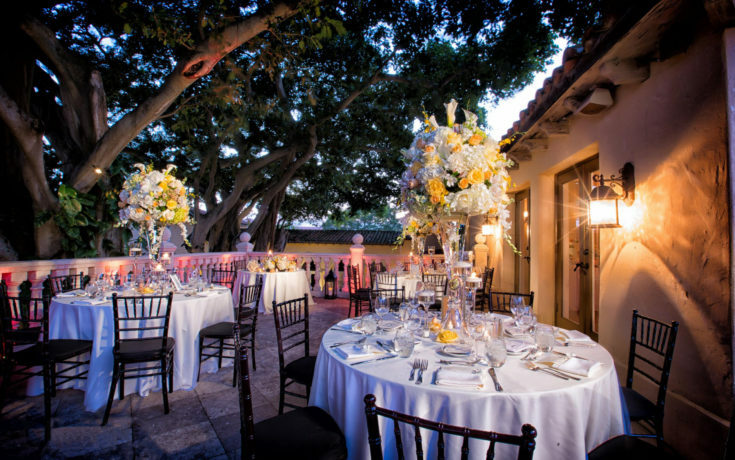 We were looking for a beautiful outdoor setting for the ceremony with an Old Florida feel, but did not want your typical "South Florida beach" wedding.